Government bureaucracy doesn’t intimidate Jason Jackson. His background in the military and technology has taught him how to be an agent of change in virtually any situation, and he’s doing just that as the State of Nebraska’s chief human resources officer. If that sounds like a big goal, then it’s because it is. Jackson enjoys leading major change, and his place in state government gives him that chance. Jackson is a US Naval Academy graduate who served for five years in the US Navy, earning the Navy Achievement Medal and Navy Commendation Medal for his service in the War on Terrorism. Today, he attributes a large part of his management style to his military experience. Specifically, his time in the navy taught him how to make decisions under ambiguous circumstances. Making those decisions is about more than having the confidence to make them. It’s also about recognizing that failing to be decisive is more detrimental to the organization. The key, Jackson says, is simply optimizing decision-making in the time you have. Jackson is finding that skill particularly valuable in government. Bureaucracy in general, he says, has a history of perpetuating the status quo and avoiding risk. “We’re suboptimizing our performance when we wait to have all the information rather than using our judgment to know when we have enough information to make informed decisions,” Jackson says. The other notable lesson Jackson learned from the military is how to adapt to a number of leadership roles in a short period of time. Jackson says his navy career forced him to be a leadership generalist to a greater degree than his peers in civilian jobs were afforded. “You go from being an engineering officer to being a combat officer to leading an IT division to being an assistant operations officer all in matter of a few years,” Jackson says. As a result, Jackson quickly grasped how to lead diverse organizations and apply generalist leadership principles. He also learned when to defer to subject-matter experts and how to remove barriers. Those have turned out to be the building blocks of his civilian career. Jackson didn’t start his post-military career in human resources, though. In fact, he didn’t even plan on going into HR. But in his third year at the personal finance software company Intuit, an opportunity arose. Intuit was building a shared services organization and wanted someone with an operational background to lead it. “They knew my military background and asked me to do it, and I fell in love with HR from there,” Jackson recalls. He enjoyed the strategic component of maximizing the performance of people, processes, and organizations. That, and the people-centric aspect of the job, were a perfect blend for him. He ended up helping to lead Intuit’s HR department for more than six years. Then, in 2016, the administration of Nebraska Governor Pete Ricketts came calling. The chance to apply his skills in a public service capacity was too good to pass up. The work environment, however, was completely different from his time in tech. Intuit’s structure constantly changed and adapted to shifting customer expectations and new technologies and processes. Now, thanks to the work of Governor Ricketts and his team, including Jackson, those types of changes are happening in the Nebraska state government, Jackson says. Nebraska, for instance, was the last state in the union to have a Department of Roads and not a Department of Transportation. It also had a Department of Aeronautics. Jackson combined roads and aeronautics into a new Department of Transportation, which has done much more than make the state’s organization more current. Jackson also played a role in supporting the governor’s merger of the Division for Veterans Homes and Department of Veteran Affairs. Again, the benefits were widespread. Not only did it save on administration costs, but the merger also created a more convenient, one-stop-shop for Nebraska-based military veterans. The success of those two moves has helped facilitate more improvements that Jackson wants to make. However, there is no time to sit back and reflect on the change he’s been able to enact in a short period of time. Serving the public isn’t a new concept for Jason Jackson. Before his role as the chief human resources officer for Nebraska Governor Ricketts, Jason served our country as a Navy officer. He graduated from the US Naval Academy and deployed overseas in support of Operation Iraqi Freedom. 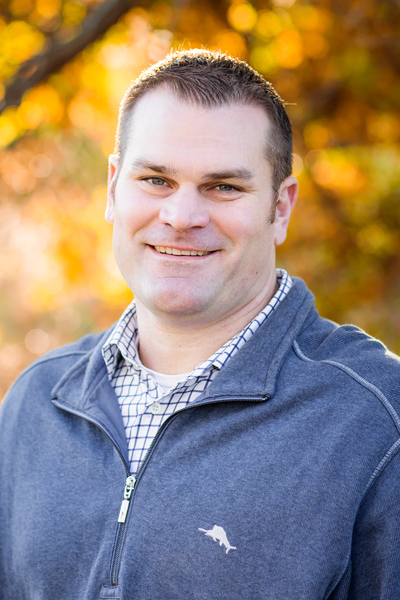 Through his work, Jason honors the service of more than eighteen thousand state workers in Nebraska by working with UnitedHealthcare to balance the wellness needs of the workforce, while saving money for both taxpayers and his employees. Jason also brings the best practices from the private sector to government, ensuring progress is made through collaboration and innovation.